Done-Right Construction – How much does Home Improvements Add Value in Ottawa? Done-Right Construction / Buying Tips / How much does Home Improvements Add Value in Ottawa? When investing in renovations, it’s important to be smart with your changes. Some improvements are very personal and add little to no value to a home, but other renovations Ottawa can increase your home value and lead to a faster sale when you’re ready to move. Here are some facts you should consider before investing in any major renovations. A professional contractor in Ottawa knows that the highest resale values are associated with kitchens, bathrooms, basements, exterior upgrades and your roof and windows. Curb appeal is everything, so it’s important to have an attractive exterior. Potential buyers start making judgments about your home from the moment they see it, so you should invest in siding that’s in top condition and looks great. Fiber cement siding has the highest return, and adding landscaping to the yard will boost the curb appeal. Consumers want to see updated styles and appliances in the kitchen and bathroom, including modern light fixtures, plenty of electrical outlets, attractive finishes and functional traffic patterns. Finished basements Ottawa are in high demand and can help you fetch a higher price for the home. When it comes to windows and doors Ottawa, energy efficiency is the top concern. They can be costly to replace, but buyers are prone to walk away from homes that need new windows throughout. 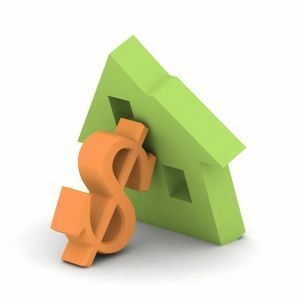 You won’t drastically increase the value by putting a new roof on, but it will help you avoid taking a significantly lower price because the roof is in disrepair. • Garage to Anything Else – You may really want a workout room, but chances are great that the next owner will really want a simple garage. • Luxury Upgrades that Don’t Fit the Neighborhood – You may love the high-end cabinets that are worthy of a pricey mansion, but most people buying in a low-end neighborhood aren’t going to agree with the prices. You may be willing to pay the difference for the luxury, but you should not expect to have a high return on investment when they don’t suit the neighborhood. • Swimming Pools – Most people look at pools and see an expense and liability that they would rather avoid. While they’re selling point in hot climates, they don’t enjoy the same demand in Ottawa. • Odd Rooms – When you start building additions, you need to consider how the connecting rooms will fit the traffic flow and overall look. A dining room that now has a lovely view of your new mother-in-law suite won’t appeal to buyers. In addition to keeping changes consistent with the overall neighborhood, remember that upgrading an older home will have a greater payback than making changes in a more modern structure. You also want to spread the wealth throughout the home. Creating a stunning kitchen while neglecting the other areas can make the overall house feel shabby and poorly kept. Whether you’re investing in new bathrooms in Ottawa or other improvements, you should be realistic about the value of your work. Use online calculators to help determine the expected return on investment with any renovation. While you don’t want low-quality materials, you also don’t want to price your home out of your own market. Try to use a balance approach that invests in the overall house and focuses on mid-range options that will appeal to a wide range of buyers.